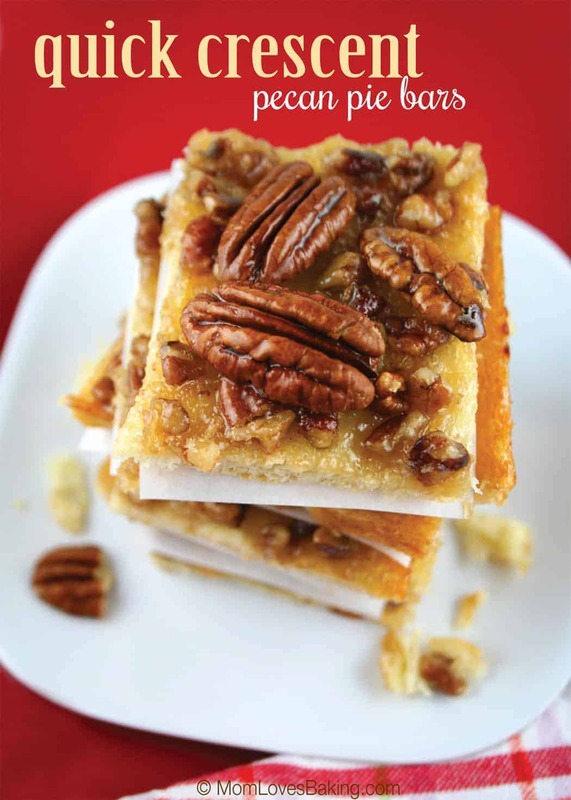 Quick Crescent Pecan Pie Bars was one of 2 winners of the Pillsbury Bake-Off in 1973. Recipe on Pillsbury.com by Albina Flieller of Floresville, Texas. I think it’s interesting that they had such a similar type of recipe win 2 years in a row. The 1972 winner was Quick ‘n’ Chewy Crescent Bars. 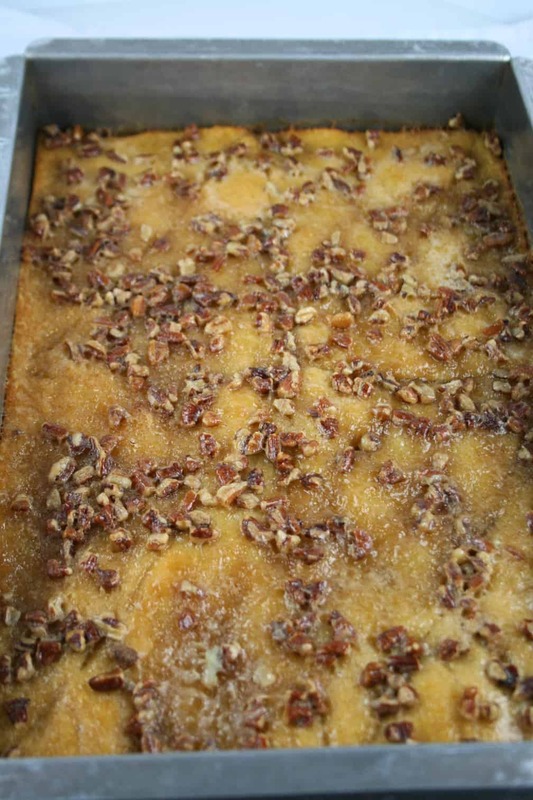 Then, 2 years before that, the winner was Pecan Pie Surprise Bars. I guess those judges in the ’70s really loved bar type cookies with pecans! This recipe is very simple. Start with the Crescent dough. You can use the rolls or dough sheet. 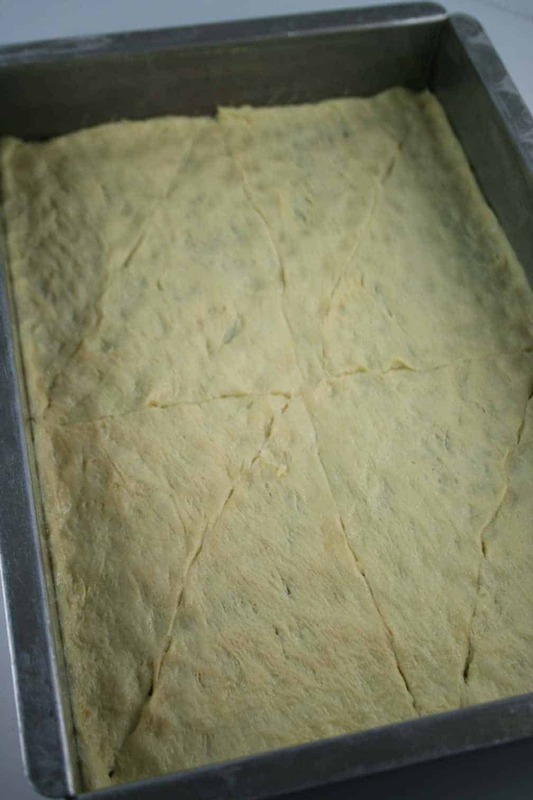 Unroll dough; separate dough into 2 long rectangles. 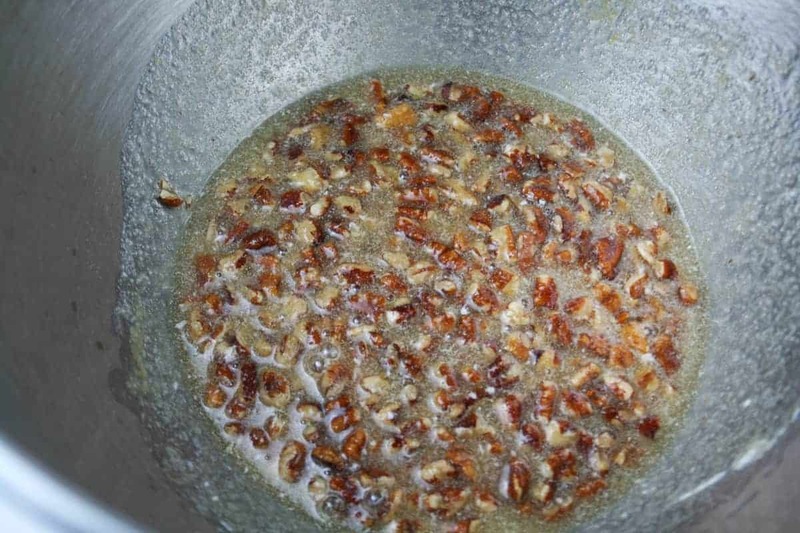 Place in ungreased 13×9-inch pan; press over bottom and 1/2 inch up sides to form crust. Firmly press perforations to seal. Bake for 8 minutes at 350°F. Meanwhile, in medium bowl, mix filling ingredients. Pour filling over partially baked crust. Bake 18 to 22 minutes longer or until golden brown. Cool completely, about 1 hour. For bars, cut into 6 rows by 4 rows. Store at room temperature. Super easy, right? 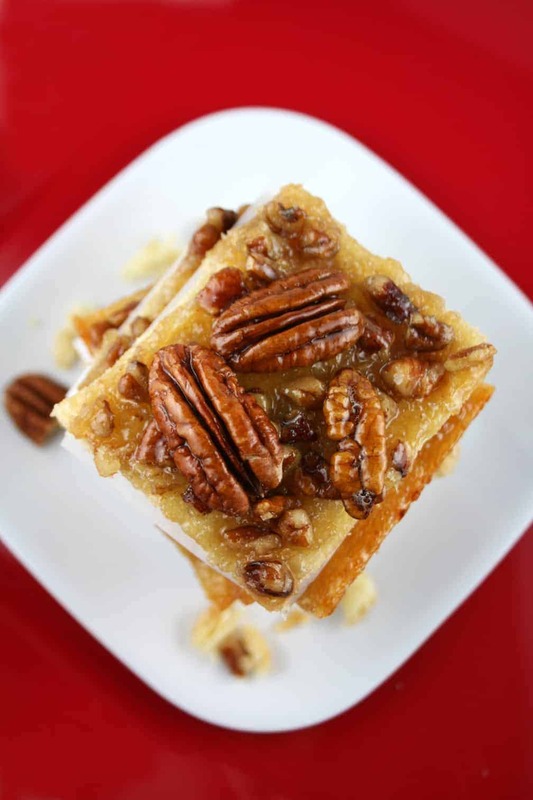 If you’re a big fan of pecan pie, then you’re going to love these bars. 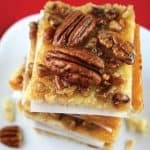 They taste just like pecan pie in a bar form with a soft crust. So good! If using crescent rolls: Unroll dough; separate dough into 2 long rectangles. Place in ungreased 13x9-inch pan; press over bottom and 1/2 inch up sides to form crust. Firmly press perforations to seal. If using dough sheet: Unroll dough; cut into 2 long rectangles. Place in ungreased 13x9-inch pan; press over bottom and 1/2 inch up sides to form crust. Bake 8 minutes. Meanwhile, in medium bowl, mix filling ingredients. Pour filling over partially baked crust. Bake 18 to 22 minutes longer or until golden brown. Cool completely, about 1 hour. For bars, cut into 6 rows by 4 rows. Store at room temperature.